earthquake occurrence is the issue in GI-199. Even the IP3 IPEEE indicated that seismic risk was much larger than internal events risk. IP3. There’s little regulatory motivation for them to do so. less than a full-scope PRA is available. tend to ignore the contributions from external events such as earthquakes and fires. re-examine some or all of these issues in the coming months. 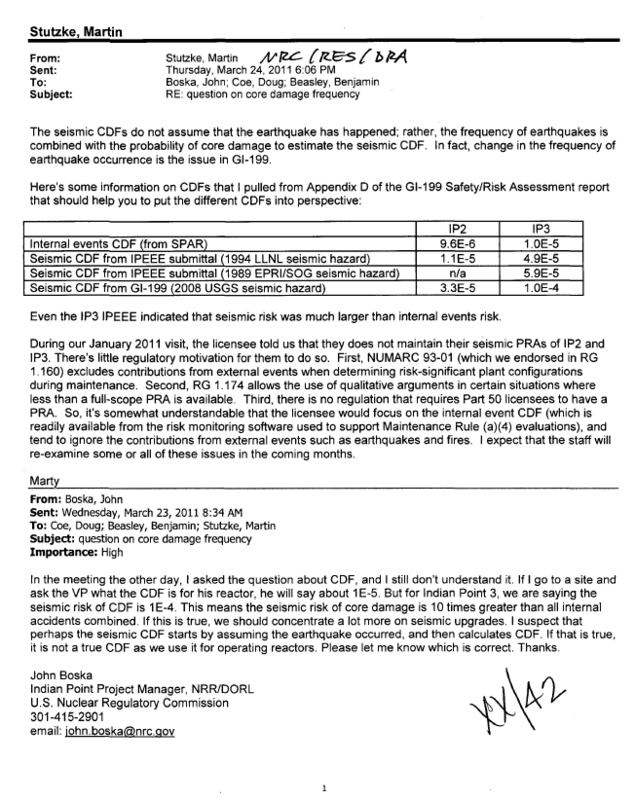 seismic risk of CDF is 1 E-4. If this is true, we should concentrate a lot more on seismic upgrades. it is not a true CDF as we use it for operating reactors. Please let me know which is correct. Thanks. If enriching Uranium and Plutonium is profitable – Why is Japan dumping them as waste?